Tripteroides, probably T. atripes, copyright John Tann. 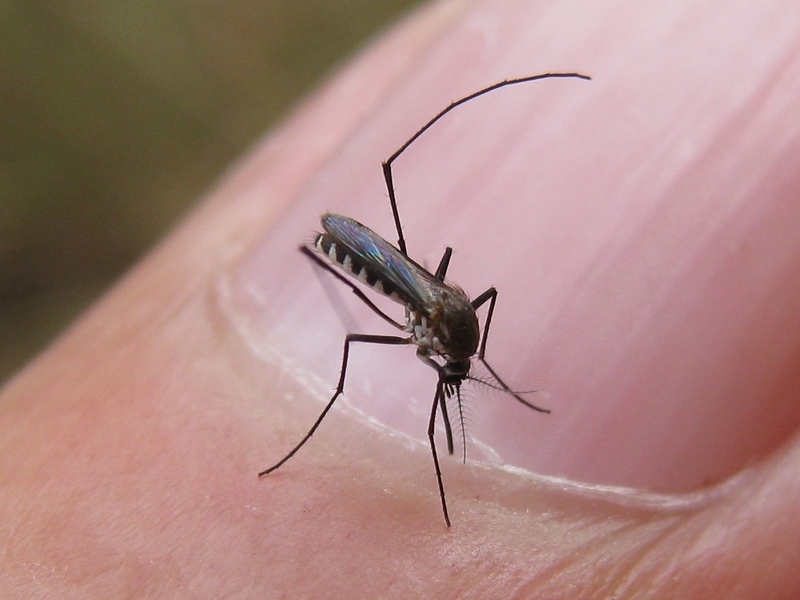 Tripteroides is a genus of mosquitoes which possess bristles on the spiracular area but whose wings lack bristles on the stem vein and ventral surface of the subcosta (Liehne 1991). Characters (from Liehne 1991): Adult with vertex clothed with broad flat scales, upright forked scales few in number and confined to occiput; scutal scaling variable; scutellum with broad flat scales; spiracular bristles present, lower mesepimeral bristles absent; pleura covered with broad flat appressed scales; legs slender, hindtarsus I usually longer than tibia; claws of female equal, simple, pulvilli absent; abdomen blunt-ended, segment VIII of female usually broad and bristly. Larva with head small; antenna short with seta 1-A small, inserted beyond midpoint of antenna; thorax and abdomen generally clothed in stout stellate setae; thoracic spines present, generally well developed; lateral comb always a single row of teeth; seta 1-VIII always more strongly developed than other pentad hairs; pecten absent, siphon covered in numerous setae, some of which may form a 'false' pecten; ventral brush (seta 4-X) always a single pair of setae.